It’s easy to get bogged down in the day-to-day drudgery of a job that is stable, reliable, but utterly unfulfilling. Some people in this situation can survive quite comfortably in this way, separating their professional lives from their personal lives, working hard in the office and then blotting it from their minds the moment they step out the door. But then there are others who will sit there every day, dreaming of something better. We at Unlimited Success pride ourselves on being here for the dreamers, for the wannabe entrepreneurs, and for those who want to find more satisfaction in their job, while making more money too. 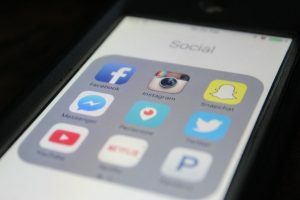 It sounds idealistic, but there are proven methods and strategies that allow entrepreneurs to earn higher figures either in their spare time or full time, by doing the simplest of things – in one case, using social media. In this blog, we’ll introduce you to a proven, 3-step system to making thousands of pounds every month by using Twitter. Social media has become a daily – and for some, hourly – staple of our lives, which sees us speaking with friends, sharing pictures of our lives, and interacting with the brands that we know and love. There is a misconception that the only way to make money from social media is by advertising your business or, if you are employed as a marketing professional, your employer’s business. While these are possible options for using the phenomenon to make money, they are not the only methods of doing so. At Unlimited Success, we teach a simple, 3-step system that allows for making big money from social media, which at first may seem so straightforward that it is difficult to believe. But this isn’t just a theoretical process that we have scribbled down in a few minutes – this is a proven, step-by-step guide to making money from carefully targeted advertising, paid for by the people who are selling the products, rather than you. The best part about earning money from social media is that all you need is a computer and an internet connection, it can be done from anywhere in the world, and it costs no money at all to get started. There are ways to make money from all social media communities, but in this piece we are going to focus on how lucrative Twitter can be. One of the most exciting (but underappreciated) features in Twitter involves the option to search people’s conversations for hints about whether they are going to be interested in certain products. The targeting potential for these users is incredible, and you may be surprised to know that there are companies that will pay up to 75% of their profits to you, just for sending customers to their website! You should first choose a niche for your product or for the product of the company(ies) you will be promoting. You may want to select a niche that is associated with something you love and which has a large audience, as this will open you to the possibility of a large market as well as the chance to spend more time around something that interests you. The website www.dummies.com is a good starting point for getting some ideas about potential goldmine niches. You can now search for relevant keywords and phrases in Twitter. This can be as detailed as seeking out people who have said, “I want a new ____”, or simply associated phrases linked with whatever the product is that you are going to promote. This is an unmissable way of tapping into the potential markets for literally any product that you can think of! When you have pieced together a list of contacts that you have targeted in this way – i.e. gathered from locating specific search terms that users have typed in their social media conversations – it is possible to make around £3 or more per contact, per month. That means that with a relatively small list of 1,000 targeted contacts, you could be making over £3,000 per month, just from using social media. Step 2 in our proven system is to collect the contact information of your target audience. One of the key elements of the system is having the ability to do this without your contacts even having to type their contact details – something of a game changer, when combined with this suggested social media system. This used to be done via a “squeeze page”, which is a single-page website built to collect users’ contact details. The upgraded version of these, which can be made through automation just with a few clicks of a button, can capture their information without your contact having to type a single letter. If you have your own Amazon business, you can use your list to send people to your own products. However, there are also many opportunities for you to become an affiliate of another company, to send internet users to that website and be paid commissions on every sale. When you have a list of hundreds or thousands of targeted customers – which is a target that we at Unlimited Success can show you how to successfully reach – the amount of money that can be made from such activities can be enormous. In fact, it can be life-changing. If you would like to learn more about this 3-step system, please get in touch with us via hello@unlimited-success.co.uk or by calling our office on 01733 898557. Read about how to make £10,000 in 3 months on Amazon here.